From The New Criterion. December 31, 2009. Maybe, as with all things lately, we’re overanalyzing what amounted to a scuffle between two men under the influence of testosterone. Alex Jones, longtime media critic and head of Harvard’s Shorenstein Center on the Press, Politics and Public Policy, distilled the event to its plainer truth: "Maybe it’s because I’m from the South, but if you call me a ‘[bleep],’ I’m going to take a shot at you unless I know I’ll get the crap kicked out of me . . . and maybe even then." Which is to say that Allen was defending his honor, an act so unfamiliar in today’s emasculated newsrooms that we hardly recognize it. No one would insist that fisticuffs are an appropriate route to resolution (harrumph, harrumph), but it is sublimely reassuring that such a passion for wordsmithing survives in a twittering, talking- head world. It’s good to have the punditry’s analysis of the situation, of course, but I wonder whether these allegedly emasculated newsrooms may owe less to twittering and talking heads than an ideologically and professionally mandated denial of what many outside the media still regard as the first duty of life, which is to know whose side you’re on. In a sign of discomfort with the White House stance, Fox’s television news competitors refused to go along with a Treasury Department effort on Tuesday to exclude Fox from a round of interviews with the executive-pay czar Kenneth R. Feinberg that was to be conducted with a "pool" camera crew shared by all the networks. That followed a pointed question at a White House briefing this week by Jake Tapper, an ABC News correspondent, about the administration’s treatment of "one of our sister organizations." Such journalistic solidarity may not last, but at the time of writing the general attitude in the liberal media, perhaps uneasily aware of their own sycophancy towards the administration, is that it looks bad for someone wielding the awful powers of the presidency to whine about criticism from the not-so-liberal media. Mr Rutenberg’s colleague at the Times, David Carr, wrote that "People who work in political communications have pointed out that it is a principle of power dynamics to ‘punch up’ — that is, to take on bigger foes, not smaller ones. A blog on the White House Web site that uses a ‘truth-o-meter’ against a particular cable news network would not seem to qualify." The liberal Washington Post columnist, Ruth Marcus similarly averred that "the Obama administration’s war on Fox News is dumb on multiple levels. It makes the White House look weak, unable to take Harry Truman’s advice and just deal with the heat." Actually, Truman’s advice was, "If you can’t stand the heat, get out of the kitchen," which is a different and nobler thing, since the Obama way to "deal with the heat" is to add its own measure of hot air. But Miss Marcus spoke for many when she wrote that the attack was also dumb because "it makes the White House look small, dragged down to the level of Glenn Beck," and "it makes the White House look childish and petty at best, and it has a distinct Nixonian — Agnewesque? — aroma at worst." Other commentators, too, were moved to mention Nixon’s "Enemies List" in this context — which, in view of modern journalism’s foundational mythology of Vietnam and Watergate, is the ultimate thumbs-down. Yet if the media saw it as a mistake on President Obama’s part to try to delegitimize a troublesome news organization, it was a mistake into which he had been led by the media themselves. When Anita Dunn, the temporary White House communications director announced the administration’s new policy towards Fox on the grounds that "we don’t need to pretend that this is the way that legitimate news organizations behave," she wasn’t saying anything that hasn’t been said by controversialists in and out of the media for years. Miss Dunn may not even have thought of it as a controversial statement. From the media’s perspective, they are having their bluff called by someone who doesn’t know it’s a bluff. Some of course, like Jacob Weisberg have no problem with this. He’s determined to see out the game of the media’s "objectivity" until the last trump is played. As the subhead of his column on the subject for Newsweek put it without a hint of irony, "Fox News isn’t just bad. It’s un-American." that it serves the public interest rather than those of parties, persuasions, or pressure groups. Media independence is a 20th-century innovation that has never fully taken root in many other countries that do have a free press. The Australian- British-continental model of politicized media that Murdoch has applied at Fox is un-American, so much so that he has little choice but go on denying what he’s doing as he does it. For Murdoch, Ailes, and company, "fair and balanced" is a necessary lie. To admit that their coverage is slanted by design would violate the American understanding of the media’s role in democracy and our idea of what constitutes fair play. But it’s a demonstrable deceit that no longer deserves equal time. There is not a glimmer of understanding here, it seems, that the same "necessary lie" is standard operating procedure for him and the rest of the media, who must also continue to hide their biases — in part by pretending that only those who don’t share them can be biased. Most people, however, and even some very liberal people, see the problem with this assumption that only the other side can be biased a bit more clearly and so are not inclined to take comfort from regarding the problem of bias, and its denial, as an alien import by the rogue Australian and liberal hate figure, Rupert Murdoch. Now that most of the media is Internet-based, its "politicized" nature is much more difficult to hide, and it will not be long before there will be few to join Mr Weisberg in bothering to hide it. Already it is clear to anyone who cares to look into the matter that the political spectrum in the population at large is beginning to be replicated in the media. It was also in response to the assault on Fox News that John Harwood in The New York Times noticed a "partisan fragmentation throughout America’s news media and their audiences." 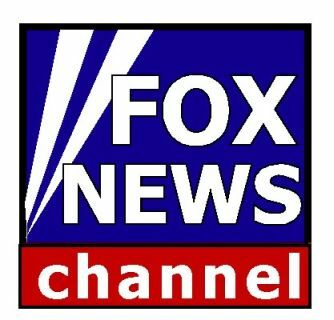 He found that "Fox News has attracted the most attention because of its ‘fair and balanced’ challenge to its competitors and its success. But the audiences of its competitors have tilted sharply in the other direction." Citing survey data compiled by Will Feltus from information provided by Scarborough Research, he shows that, while ten years ago all cable news audiences were more or less evenly balanced between Democrat and Republican, Fox had led the way to a partisan viewership in the first Bush term, during which its audience had "become 51 percent Republican and just 30.8 percent Democratic." Since 2004, the other cable networks have followed Fox’s lead into more or less straightforward partisanship. "By 2008-9," writes Mr Harwood, the network audiences tilted decisively, like Fox’s. CNN viewers were more Democratic by 50.4 percent to 28.7 percent; MSNBC viewers were 53.6 percent to 27.3 percent Democratic; Headline News’ 47.3 percent to 31.4 percent Democratic; CNBC’s 46.9 percent to 32.5 percent Democratic; and Comedy Central’s 47.1 to 28.8 percent Democratic." He might also have mentioned recent research by The Pew Research Center for The People and the Press which shows that public perceptions of the broadcast networks (NBC, ABC and CBS) as "mostly liberal" are beginning to catch up to the 47 per cent of those surveyed who characterized Fox as "mostly conservative". Perhaps Mr Weisberg doesn’t believe these statistics — or else he supposes that they have nothing to do with the journalistic content of the networks favored by Democrats while having everything to do with the one favored by Republicans. But such a denial of the obvious may also be owing to the fact that the pretense of non-partisanship is another thing that the mainstream media shares with the Obama administration, and that this is what the latter must have relied upon in seeking the support of the former for its attack on Fox. I wonder if, as the transparent partisanship of these politicians, like any others, becomes ever harder to ignore, that of the media may also become harder to deny in consequence? Somehow I doubt it. The media’s presentation of the world to us through an ideological filter has become too much a part of the way it does business — which is why Fox News took on the task of beating the media ideologues at their own game in the first place. And it is in the very nature of such a filter to deny that it is a filter. If it didn’t, it would not be doing a proper job of filtering. Here is the opening sentences of a piece by Alessandra Stanley in The New York Times in early November: "It is almost too perfect that the first African- American president of the United States was elected in time for the 40th anniversary of ‘Sesame Street.’ The world is finally beginning to look the way that the PBS show always made it out to be." Almost too perfect indeed! But does she suppose there is any connection between the multiculturalist propaganda of "Sesame Street" and the election of the first African-American president? Perhaps we can infer it from the fact that the world is finally beginning to look like the PBS model. Perhaps the world will prove compliant to the model in other ways, too, in another 40 years. In the meantime, however, the multiculturalist model is going to have to accommodate much more jarring information than a man "of color" in the White House. When a crazed Muslim Army psychiatrist — there’s a piquant concatenation of categories for you! — went on a rampage at Fort Hood, Texas, on Guy Fawkes Day, killing 13 and wounding 31, the media had to find a way to give the episode the kind of coverage it would have received if it could have been treated, as such shootings generally are, as an object lesson in the need for "gun control" but without mentioning — or with some means of minimizing the importance of — the killer’s Muslim identity. This in spite of the fact that it swiftly became apparent that the gunman had long harbored jihadist and anti-American sympathies which the Army had chosen to ignore, doubtless also on multiculturalist grounds. Not surprisingly, a way was found. On the same day that detailed coverage of the massacre appeared in The New York Times, the paper also ran a plaintive op ed by former Senator Max Cleland offering his pet subject, post-traumatic stress disorder, as his explanation for mass murder. "While the authorities say they cannot yet tell us why an Army psychiatrist would go on a shooting rampage at Fort Hood in Texas," wrote former Senator Cleland, — and I love that marvelously tendentious use of the word "yet" — "we do know the sorts of stories he had been dealing with as he tried to help those returning from Iraq and Afghanistan readjust to life outside the war zone." Even second hand, apparently, PTSD kills. Several more articles of the same tendency, loosely tied or not at all to the Ft. Hood shootings, followed in subsequent days. "Painful stories take a toll on military therapists," the paper informed its readers the next day. The day after that, The Washington Post found an army chaplain, formerly at Fort Hood, willing to say in this context and on behalf of everybody there that "we’re suffering from a kind of emotional, spiritual and physical fatigue." You don’t have to be Muslim, it seems, to feel the urge to "go postal" in today’s Army. This kind of thing seems to me to be a despicable libel on PTSD sufferers as well as journalistic sharp practice of the first water, an obvious attempt to exploit the media’s increasingly prominent explanatory function in order to explain away — and to do so for patently ideological reasons. For not only does the idea of PTSD’s ever-expanding toxic cloud of influence on the American military protect multicultural sensitivities, it also offers what must seem to many in the media the further benefit of contributing to the public’s war-weariness and so increasing the leftward pressure on the Obama administration, already considerable, to withdraw American forces from Afghanistan, thus ceding that unhappy country, once again, to the rough mercies of the Taliban and their al-Qaeda allies. These defeatists, too, are presumably remembering the maxim about standing the heat or getting out of the kitchen and using it, in defiance of Truman’s honorable challenge, as an excuse for throwing in the towel. Our brilliant President must have been aware of all this when he did such a feeble job of rising to the occasion on the news of the massacre at Fort Hood. After having delayed making any comment until he appeared at a previously scheduled event at the Bureau of Indian Affairs, he then spoke for three minutes in an informal, bantering way of indifferent things as he would have done had nothing happened, before even mentioning the massacre, which he did by adding that "I planned to make some broader remarks. But as some of you have heard, there has been a tragic shooting." American readers of the major print media or watchers of those TV channels well on their way to becoming arms of the Democratic party might not have been aware of this curious behavior for reasons that scarcely need mentioning, but those like me who have occasional recourse to the alien "Australian-British-continental model of politicized media" will have been shocked to learn, as the London Daily Telegraph headlined that "Bloodless President Barack Obama makes Americans wistful for George W Bush." The Murdoch-owned Times, likewise mentioned the press conference as well as the President’s failure to visit Fort Hood until the memorial service, five days after the killings, as "insensitive" behavior which "is bothering his critics, Democrats and Republicans alike." That may be wishful thinking on the part of these far-flung outposts of the right-wing media, but at least they have the rhetorical advantage of being open about who their enemies are. President Obama is confident enough about his alliance with the media to produce an enemies list with only one name on it, that of Fox News, but elsewhere he shares their squeamishness about any similarly robust identification of the nation’s enemies. As Chuck Raasch put it in USA Today, "apparently, the Obama White House believes in diplomacy with Mahmoud Ahmadinejad but not Glenn Beck." It remains to be seen how long the once "adversarial," now hero-worshiping media can remain comfortable with such a state of affairs. If it takes the President’s appearing simultaneously arrogant and thin-skinned for the media to recognize him as their own natural enemy, it could be as bad for them as it doubtless will be, eventually, for him.